A new water well for the soft drinks industry: Successfully completed with Atlas Copco’s QL 120 hammer. An Atlas Copco QL120 Quantum Leap hammer has successfully been used to drill a 200 m deep water well in the UK. 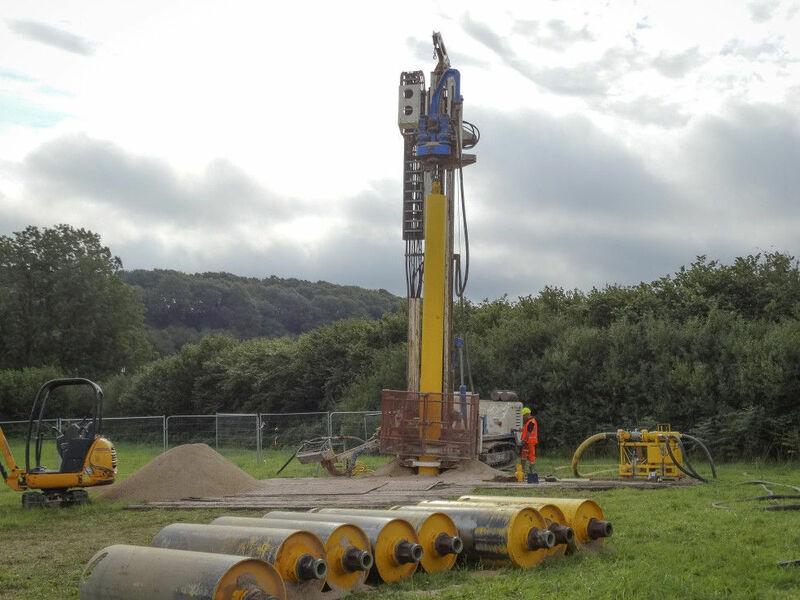 The well hole was drilled for an international drinks company in Gloucestershire by drilling contractor Apex Drilling Services Ltd. Using the Atlas Copco QL 120 hammer, the hole was drilled through a limestone sequence, progressing to the Tintern Sandstone horizon. “The phases involved drilling a 625 mm hole to a depth of 25 m. This was followed by the installation of a 510 mm casing that was grouted in to seal the borehole and avoid ground contamination from entering the well. Drilling continued to 220 m at 406 mm,” explains Mike James, Apex Drilling Manager.